As discussed, Foals are headed to Chicago to play a sold-out show at the Vic Theatre this Saturday (5/18) with tourmates Surfer Blood and Blondfire. If you didn’t manage to grab tickets, or if you’d just like to keep the party going after their show at the Vic, members of Foals will be DJing at Primary at 10PM tomorrow night with Greg Corner, Redux, and Fleege. Advance tickets are still available. They’ll also be back in Chicago in August to play Lollapalooza 2013. 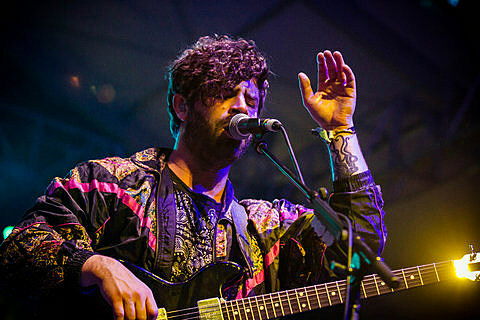 Earlier this year, Foals welcomed their third studio album Holy Fire. It was produced by Flood and Alan Moulder, and is pretty fantastic. If you haven’t heard it yet, Holy Fire is available to stream at the bottom of this post.